Play On: Minnesota Timberwolves +6. The Boston Celtics are in a very tough spot tonight. They just traded Rajon Rondo to the Dallas Mavericks in return for Brandan Wright, Jae Crowder, Jameer Nelson, money and draft picks yesterday. With this huge distraction, I don’t look for them to put forth a very good effort tonight. 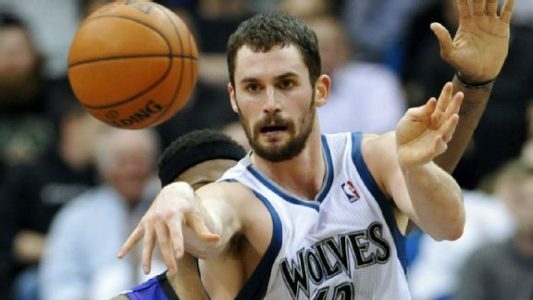 I realize that the Minnesota Timberwolves are not playing well at all right now, and as a result they are tough to back, but there’s no question that they are showing value here as 6-point underdog to the Celtics given the situation. A lot of time, when a bad team from the Western Conference plays an Eastern Conference foe, they tend to exceed expectations in terms of the point spread. That’s because the Western Conference is so stacked that almost any team from the East is going to be a step down in competition. That’s certainly the case here against the 9-14 Celtics. Boston comes in overvalued as it is off two straight wins over Philadelphia and Orlando. Plays against home favorites (BOSTON) – off a home win by 10 points or more, on Friday nights are 82-43 (65.6%) ATS over the last five seasons. The Celtics are 7-20 ATS in their last 27 home games after scoring 55 points or more in the first half of two straight games. Boston is 29-48 ATS in its last 77 games off a game where it made 55% or more of its shots. Minnesota is 2-1 in its last three meetings with Boston with its loss coming by four points. The Celtics are 4-10 ATS in their last 14 games following a SU win of more than 10 points. Boston is 1-5 ATS in its last six vs. Western Conference foes. Bet the Timberwolves Friday. No. 1 Ranked NBA Handicapper from 2012-13! Jack Jones is currently the No. 3 Overall Capper in 2014 as well! He has put together a MASSIVE 549-448 NBA Run long-term that has seen his $1,000/game players cash in $69,510! He has also delivered 9 winning cards L11 days heading into Friday’s action! Jack spots just one play worth wagering tonight, but it’s aMONSTER in his ONE & ONLY 25* NBA Non-Conference TOTAL OF THE YEAR! He shows you in his analysis why the books have set this number 24 POINTS OFF THE MARK! Now that’s winning evidence you can count on! GUARANTEED or Saturday NBA is ON JACK!